Our Children’s Summer Reading Program 2017, with the Vermont Department of Library’s, Build A Better World!, has finished for the year. A huge thanks to all of our presenters and volunteers who helped to make it a success! 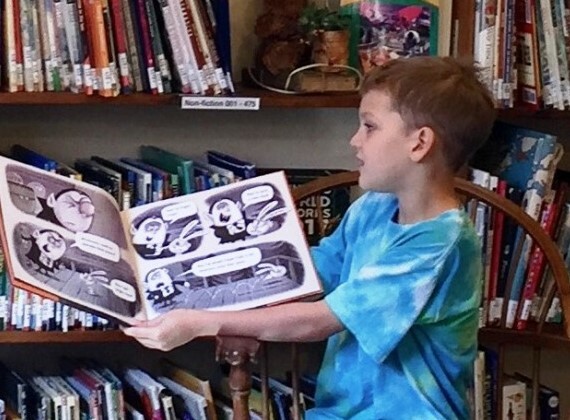 Thanks to everyone who helped to make this year’s Comic & Illustrated Book Camp at the Wilder Memorial Library a success, and to all of the wonderful and talented children who were so inspiring and fun. And a huge thanks to GNAT-TV for offering to do a segment about the camp as one of their Featured News Projects! Pre-schoolers and toddlers are welcome to join us with teachers and caregivers. Most Wednesdays we are lucky to have homeschool students do the reading. Magic happens when kids read to kids! 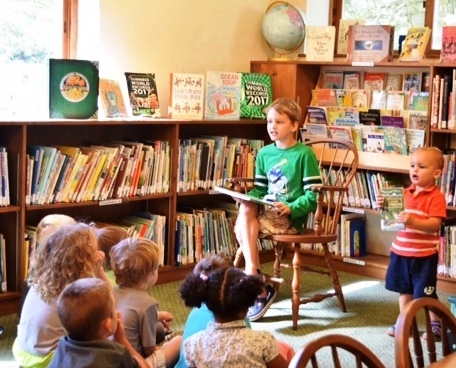 If you are interested in being a volunteer reader at Story Time, please email director@wildermemoriallibrary.org or call 802-824-4307 to speak with the Library Director about your availability.